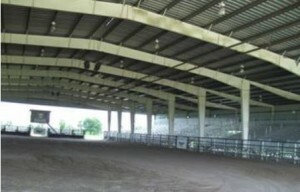 This area will address the demand from local equestrian enthusiasts by providing accessible practice and competition venues for those interested in youth and adult rodeo, cowboy riding and roping competitions including cutting horse and quarter horse events, horse-camping, and horse shows and events such as dressage, hunt and saddle seat. The area will also be able to support youth organizations such 4H and FFA (Future Farmers of America) for classes, camps, and events such as archery, poultry, rabbit and livestock education and judging, and other youth agricultural-related activities. 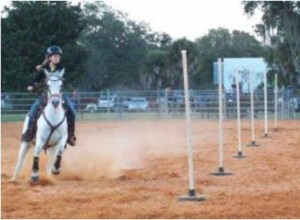 The Equestrian and Education Area includes a 40-stall stable that can be used during events or as a boarding facility for local horse owners; a residential building containing a caretaker dwelling and a dormitory for use during overnight or multi-day classes, camps or other events; several open exercise areas and fenced “round pens” suitable for horse practice and events; a single large open arena; and a 10,000 square-foot multi-purpose building suitable for large group meetings, conferences, conventions, shows, archery, and special events. This portion of the Outpost project includes 95,000 square feet of exhibit/barn space, a covered rodeo and equestrian arena, a half-mile track with grandstand, and ample parking for visitors and participants. The facility as currently planned will support larger agricultural and rural-America related events such as regional horse and livestock shows and auctions, tractor pull events, concerts, conventions, and other large-audience display and competition events. 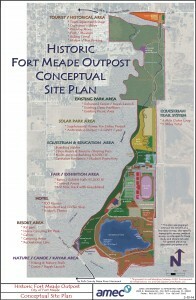 The Conceptual Site Plan includes 5 miles of equestrian trail, 4 miles of which traverse the perimeter of the Outpost site, with an additional mile of cross-trails. The trail system will incorporate watering stations and shaded rest areas at various locations. – Visitors to the highway-frontage Tourist/Historical Area will be able to rent horses for trail riding at the corral located in that area of the Outpost. – Equestrian visitors to the Equestrian/Education or the Fair/Events portions of the Outpost will be able to use the trails as well. The Resort area provides a range of overnight stay opportunities clustered around a lake, including primitive campgrounds with no amenities, campgrounds with water service available and restrooms nearby, lakeside cabins, RV camping spaces with full amenities (water and sewer hookups, electrical service, Wi-Fi and cable TV), expanded RV camping spaces designed for horse camping (RV camping with a towed or integral horse trailer), and a full-service hotel with two restaurants. The Outpost Resort will provide recreational opportunities including RV camping, horse-camping, tent and primitive camping, rental cabins, fishing, and lake kayaking/canoeing. The Outpost Resort will provide a safe and secure environment for families who want a carefree vacation, as well as camp spots for scouts or more-intrepid vacationers. Camp sites will range from prepared sites with water supply to primitive sites in the forest or swamp, where nature and survival skills will come in handy! The RV park and campground will be served by a central clubhouse with meeting area and kitchen, restrooms, showers, laundry facilities, and a swimming pool. Satellite buildings located throughout the park will also contain restrooms, showers, and laundry facilities. 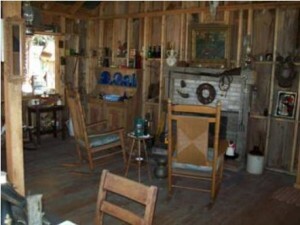 The cabins will have air conditioning, restrooms and kitchen facilities. The lake will serve as the waterfront amenity for the resort area of the Outpost project. The existing lake will be rehabilitated for recreational use and is anticipated to be a lovely recreational lake that will serve as a visual and physical amenity to the entire resort area. The Outpost Hotel is a logical upper bound to the spectrum of lodging opportunities presented on the site. The 100-room themed Outpost hotel will have a full restaurant and coffee shop to provide for overnight guests who come for multi-day events at the Outpost, or who just want to “get away from it all” and spend some time near nature in beautiful rural Fort Meade. The hotel décor will follow the pioneer Outpost theme, and will provide much-needed modern hotel facilities to Polk County. 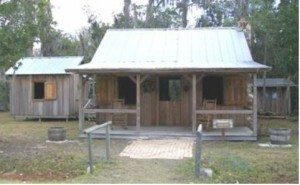 This spectrum of lodging choices, coupled the natural setting and adjunct historical and river-related nature opportunities, will make the Outpost project unique in the central Florida region. 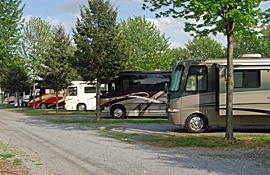 Although there are individual facilities in the region that offer RV‑park arrangements, and other individual facilities offering camping, and still other facilities offering hotel accommodations, there are none in the nearby market offering all three. In addition, the additional attractors of the equestrian component and the horse-camping facilities will further set this project apart. The Tourist/Historical Area is located at the extreme north end of the Outpost project site, adjacent to US Highway 98. The Historical/Tourist Area will be will be a pioneer-themed area anchored by structures reminiscent of the 1850’s forts that existed in the area. The country store will be complete with covered porch and rocking chairs, offering refreshments and souvenirs for sale, and a nearby corral and riding stable with rental horses will give visitors the chance to try out the Outpost’s five miles of riding trails (or just stay in the corral area if it’s their first time on a horse). There will be an historical museum to house artifacts and exhibits from the original buildings and grounds where the city’s namesake Fort Meade initially was located, an area for craftsmen’s shops and displays, and a central town square with stage for public events. This museum is envisioned as a “living-history” method, i.e., in a building of historic architectural style, outfitted with period furniture and accessories. A costumed docent would be present to talk about the house and its furnishings and their use, as well as arrange for historic tours of other sites in Fort Meade. The craftsman’s shop/display areas will be housed in a historic-architecture structure with a tall front façade that will form the backdrop to the stage area. A generous parking lot for cars and busses will provide visitors a convenient parking area for their vehicles. 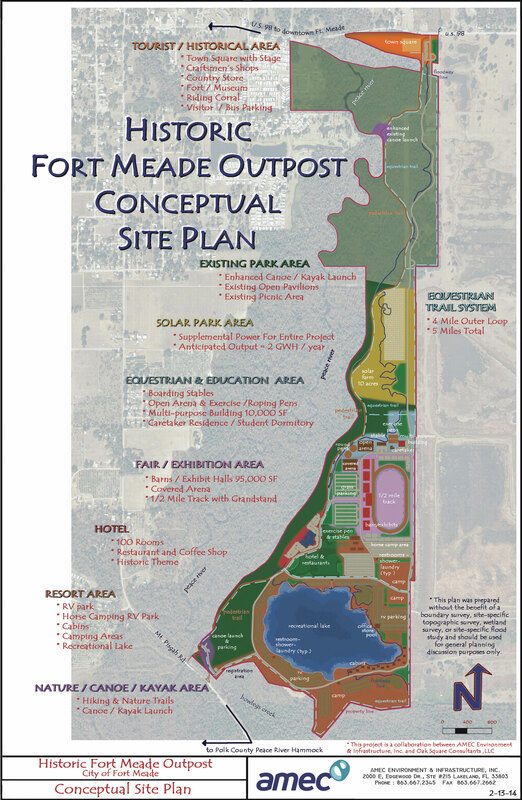 Staff members in this area of the Outpost project development will wear garb from Fort Meade’s historical past, and some may be trained as historical re-enactors to tell Fort Meade’s story. Visitors will be able to rent horses at the corral for trail rides along the Outpost’s five miles of trails. The Tourist/Historical Area will be home to the Battle of Bowlegs Creek Civil War Re-enactment, the Peace River Folk Festival, and other historical events, and the venue itself may be made available for rent for special events. The Peace River Paddling Trail through Fort Meade is part of the Florida Paddling Trail System. From Fort Meade, paddlers will eventually be able to travel the Peace River southwest all the way to Charlotte Harbor. The City of Fort Meade has been designated a Blueway Community by the Florida Paddlers Association. The Outpost project will have two such canoe/kayak launch points on the Peace River. The first of the two launch points will be an upgrade to the existing launch ramp in the city park near the north end of the Outpost site. The upgrade will consist of a new launch ramp with an auxiliary dock to allow for persons with disabilities to board a kayak and enjoy the Peace River. A concession building will accommodate rental and storage of kayaks and canoes. The second launch point will be built near the Mount Pisgah Road Peace River bridge at the south end of the Outpost site. The facility will be constructed both on the Outpost site and on lands owned by the State of Florida. Visitors staying at any of the Outpost’s lodging venues will be able to reserve kayaks or canoes to explore the Peace River. An Outpost staffer will take them to the upper (north) launch point, make sure they are properly outfitted and trained in use of their equipment, and see that they are launched on their river adventure. Visitors will be issued a two-way radio for general safety purposes, which they will use when they arrive at the south Outpost launch point approximately 2 miles downriver near Mount Pisgah Road and the Outpost Hotel. When they arrive there, they will be able to call for pickup to be returned to their lodgings. 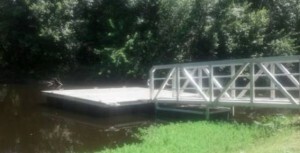 These two Peace River launch points will also serve as take-out points for river users who began their voyage somewhere upstream in Bartow or Homeland, as well as serve as put-in points for kayakers or canoeists traveling downstream toward Hardee County and eventually to Charlotte Harbor. The Pedestrian Hiking Trail shown on the Conceptual Site Plan is currently being designed and constructed through the Outpost site by the Florida Department of Transportation under the Polk Transportation Planning Organization’s Regional Multi-Use Trail program. The new launch points will be adjacent to this trail, allowing hikers to include paddling in their itinerary and vice versa. The Solar Park will provide renewable electrical power to the Outpost project, reducing expenses and demonstrating the City of Fort Meade’s commitment to alternative energy and green technologies. This 10-acre area will be developed with solar photovoltaic technology to provide supplemental power to the entire Outpost project. It is projected that this installation will generate usable electric energy totaling up to 2 gigawatt-hours (2GWh) annually, depending on sunlight and weather conditions. This amount of power is equal to the average electrical consumption of 200 US homes. The Solar Park will be designed, constructed, and operated by a small business at no additional cost to the City of Fort Meade. Power generated by the solar park will be sold to the Outpost project at rates guaranteed by contract to be lower than commercially-available power.